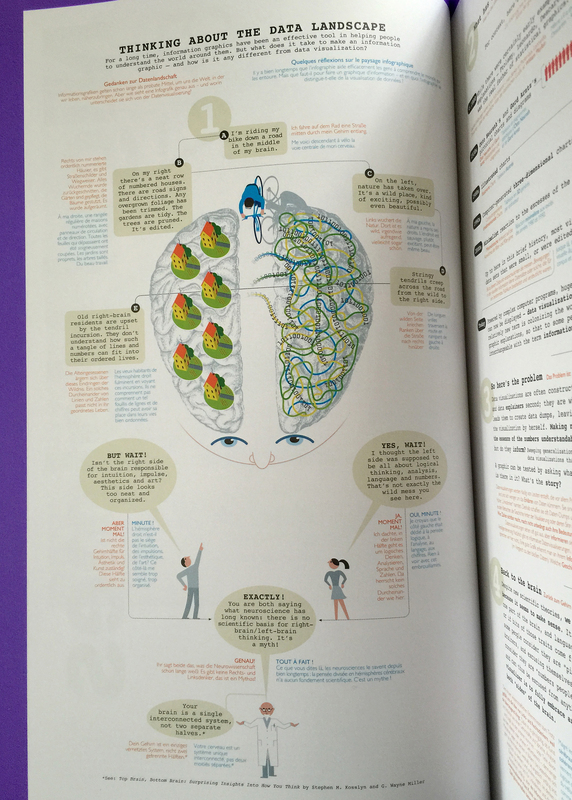 Taschen’s new large format book on infographics has been out in the U.S. for a few days. The luxurious volume, by Sandra Rendgen and editor Julius Wiedemann, follows the same format as the Information Graphics volume published in 2012. 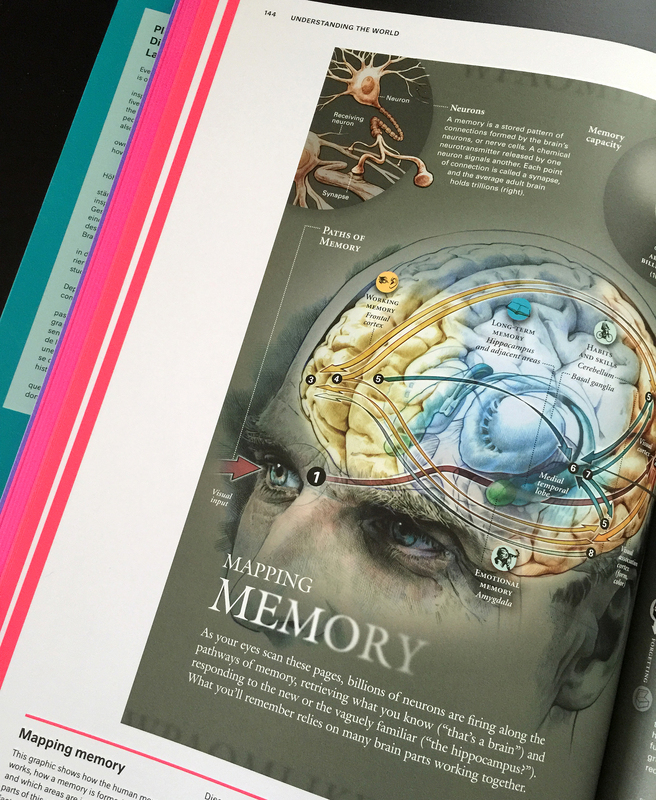 The new book includes 280 contemporary and vintage visualizations, including seven fold-out spreads. 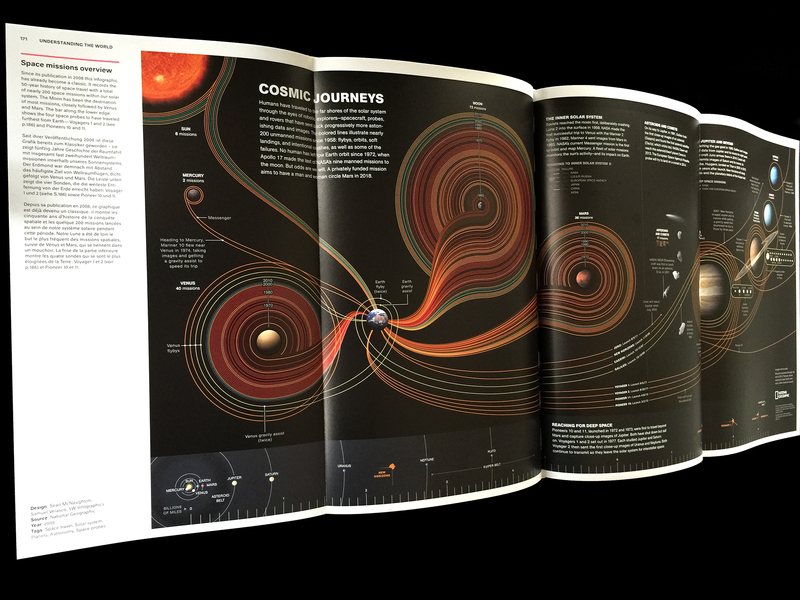 We are proud Sandra (whom I had the pleasure to meet a couple of times in Washington and in Berlin) chose our “Cosmic Journeys” graphic for National Geographic as one of the 4-page foldouts. The graphic has been showcased and reprinted numerous times but we gasped in awe when we saw it at this size, and in such fantastic paper! Personally, I was also also happy to see a piece I did a few years ago at National Geographic. It’s an infographic explaining the latest science on how memory works. A lot of research went into it. Bruce Morser created the amazing art. The introduction of the book features an interesting new graphic by Nigel Holmes. In his classic style of clean illustration and excellent step-by-step explanation, Nigel looks at the history of information visualization and the changing data landscape, and attempts to bring some light to an always murky issue: what are the differences between information graphics and data visualization? 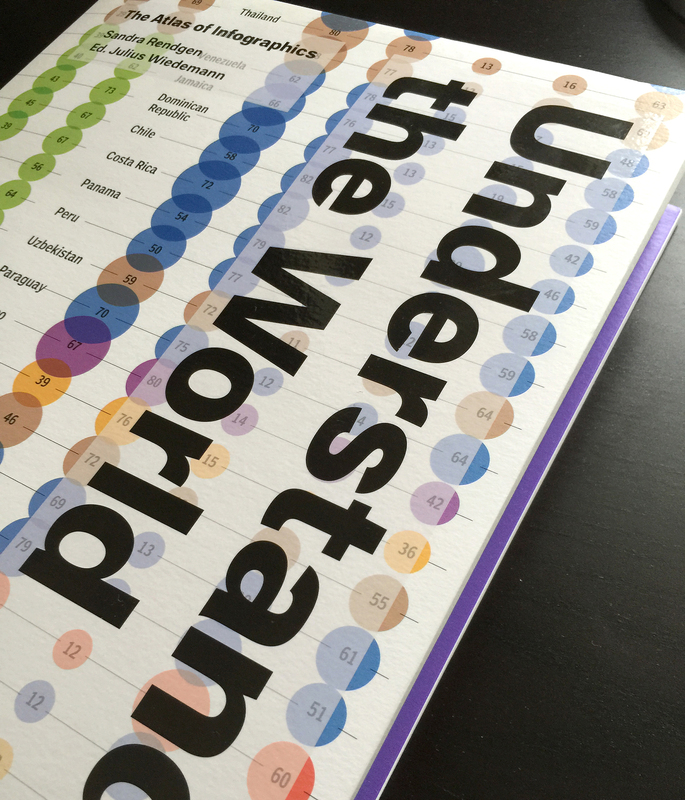 The selection in the book and the top quality production of Understanding the World make it an essential addition to any infographics library.